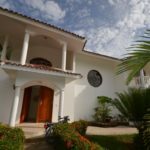 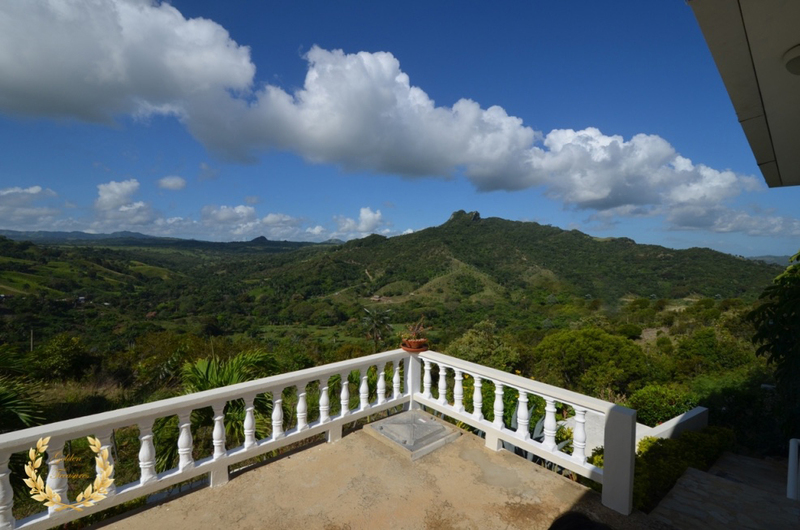 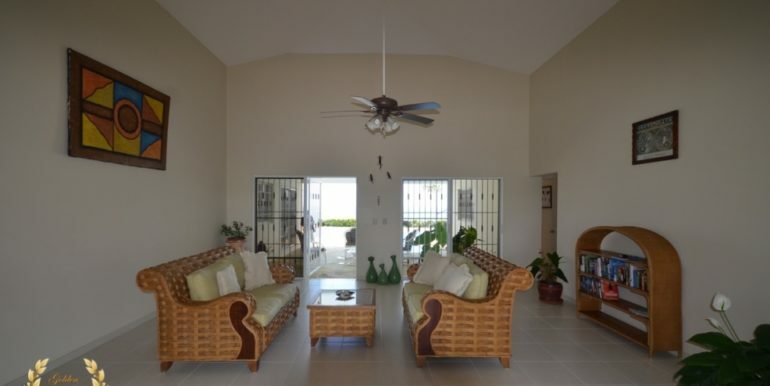 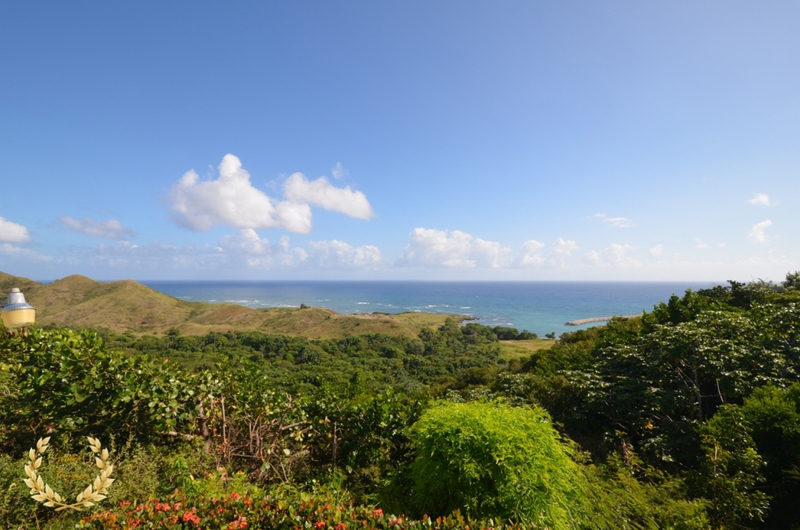 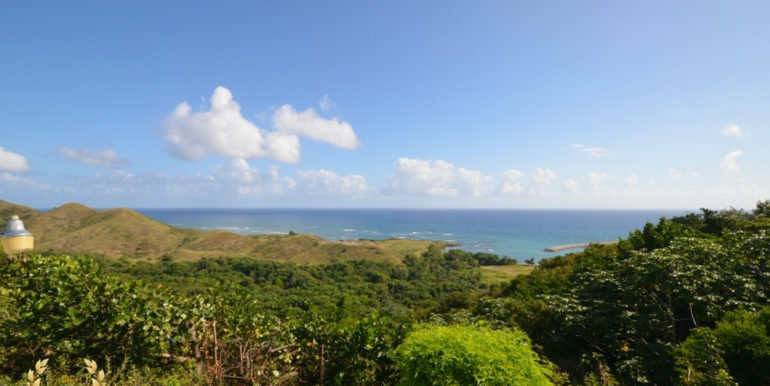 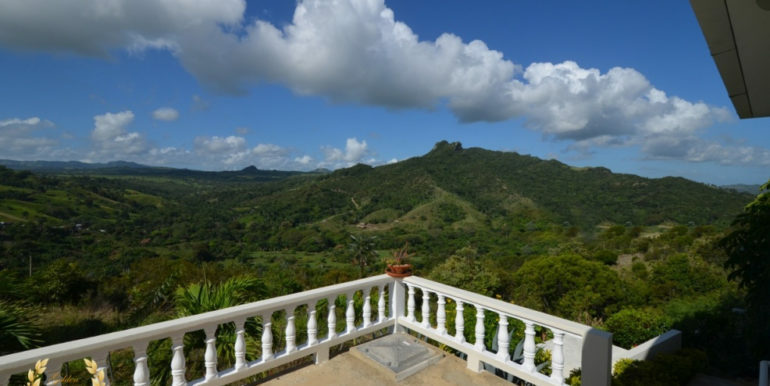 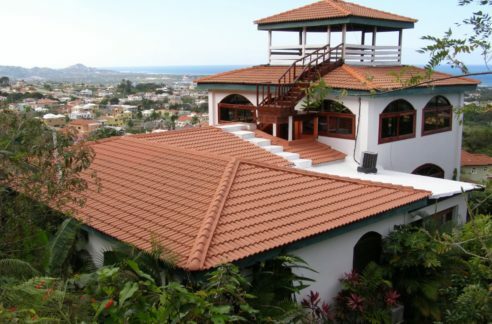 This ocean view villa for sale in Cofresi sits on a hilltop overlooking a gorgeous landscape, with sweeping ocean vistas. 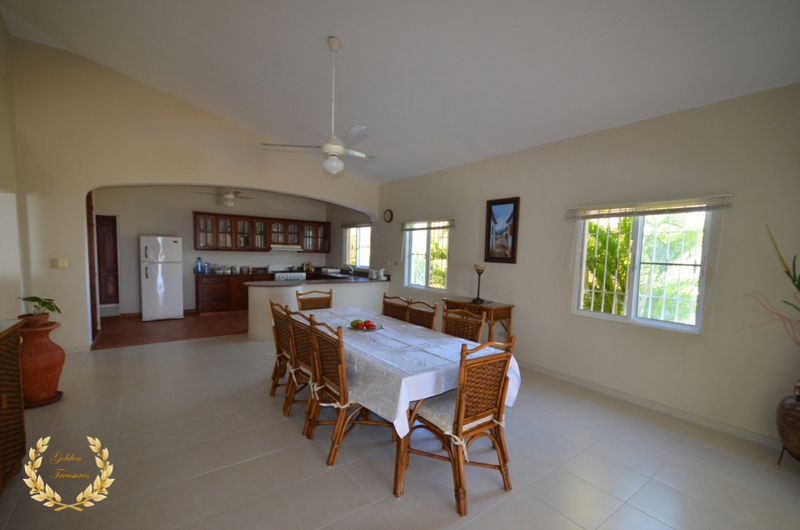 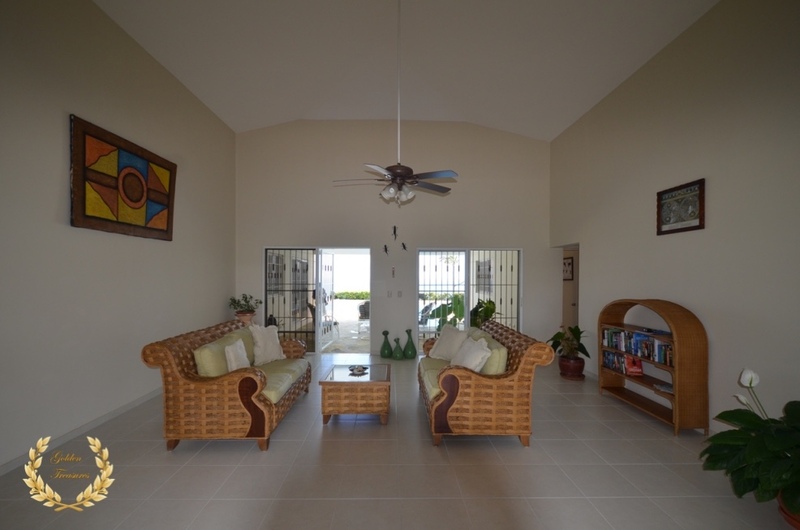 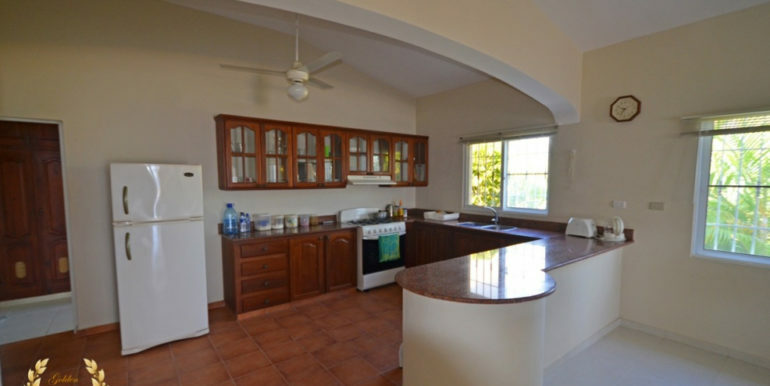 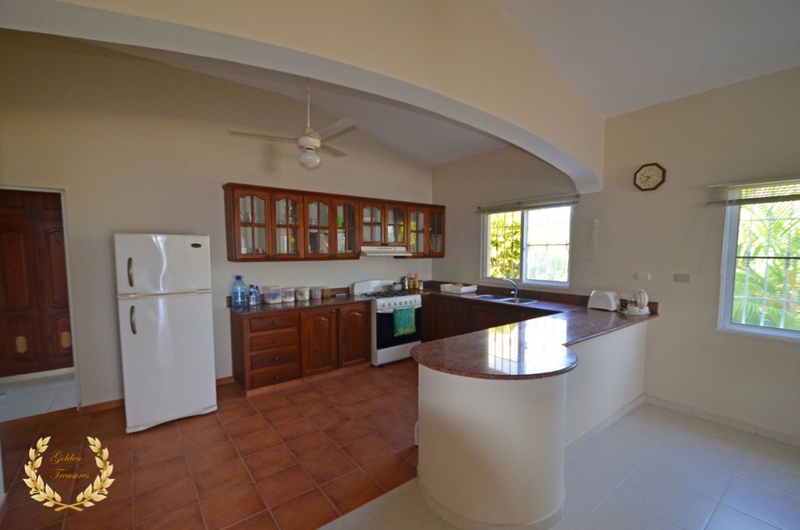 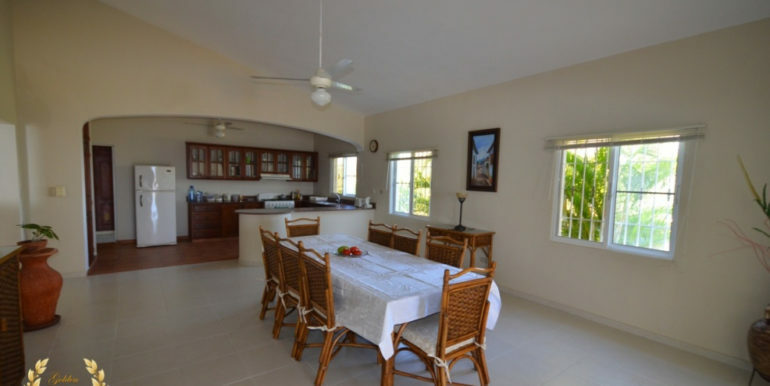 It has a long, spacious living room that connects 3 bedrooms, 3 bathrooms and a open style kitchen. 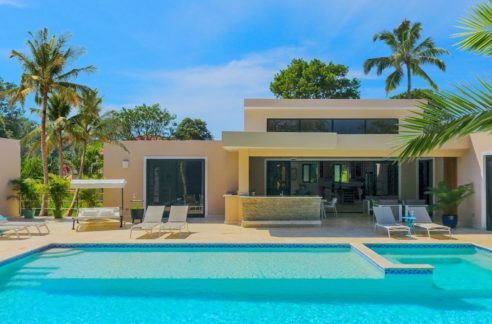 The T-shaped swimming pool has stairs in the center and inserts itself towards the covered porch. 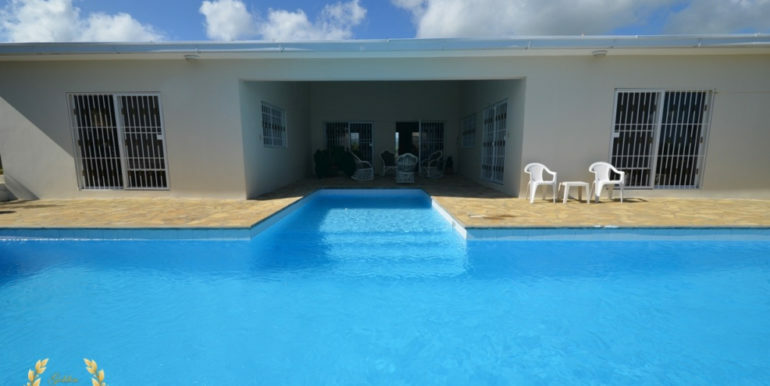 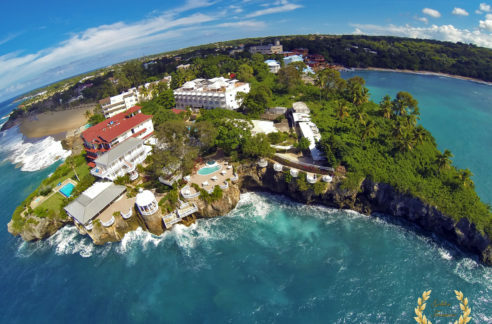 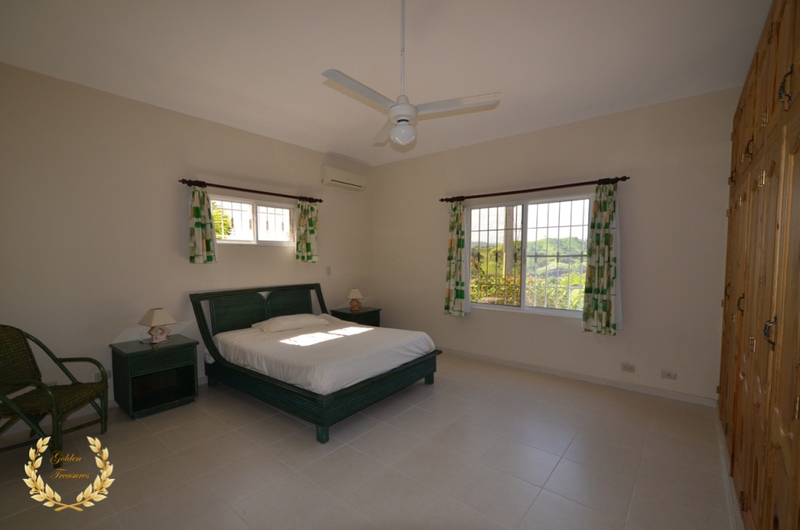 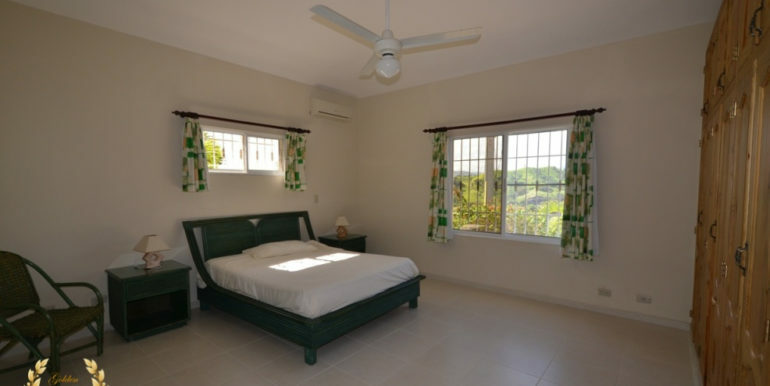 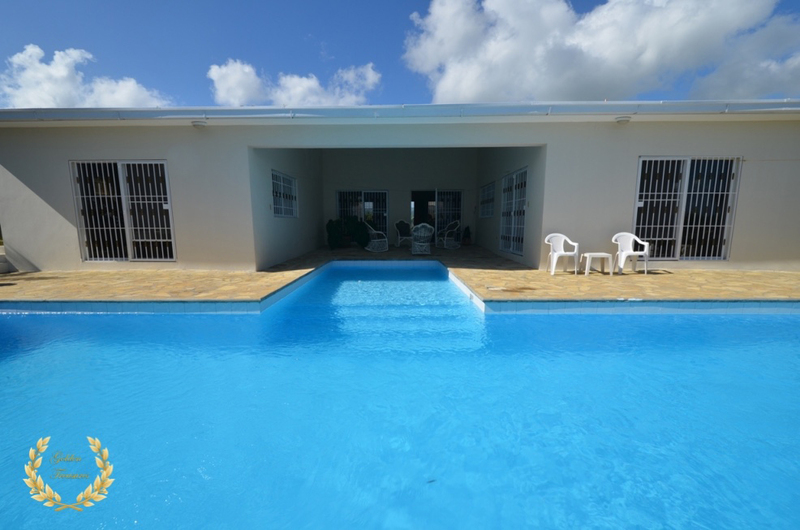 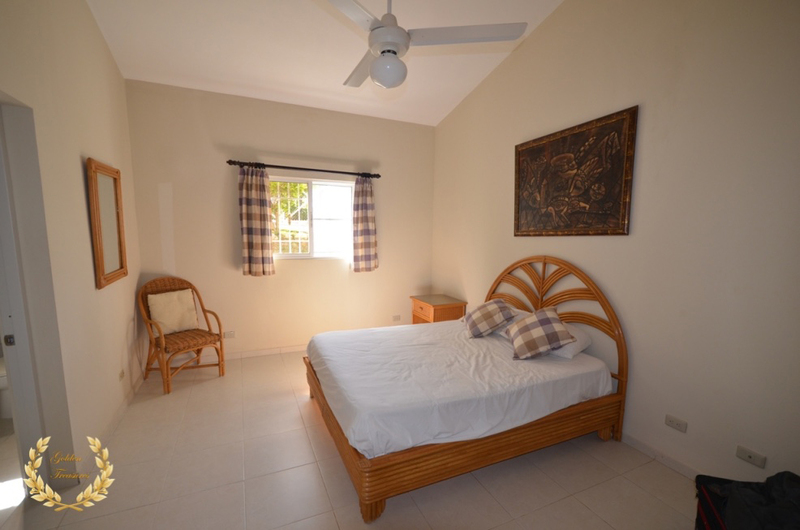 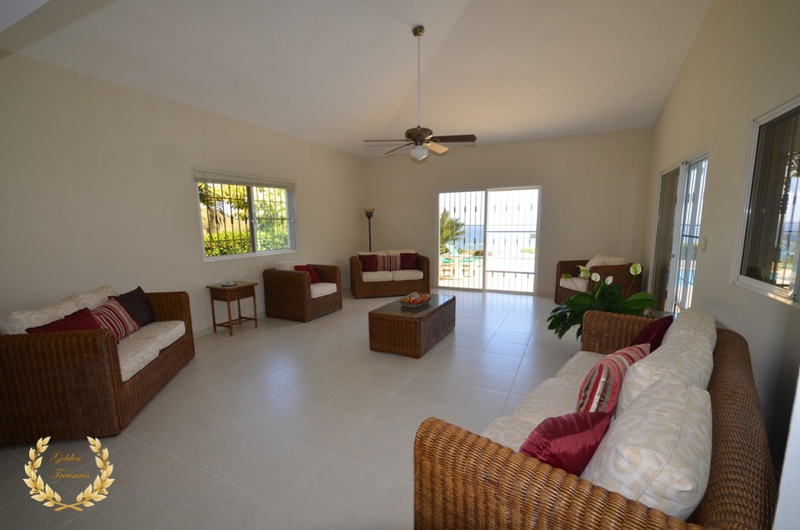 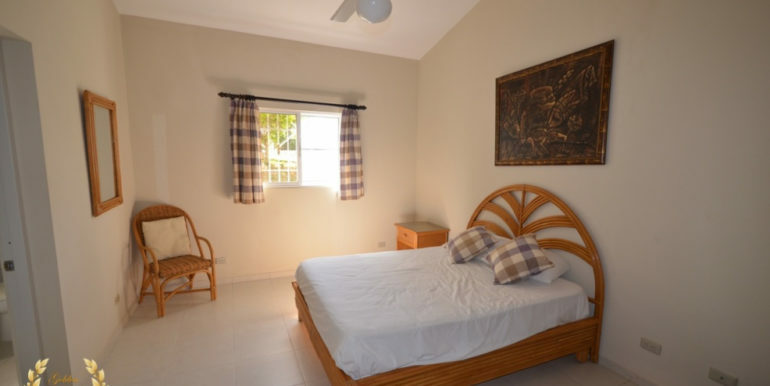 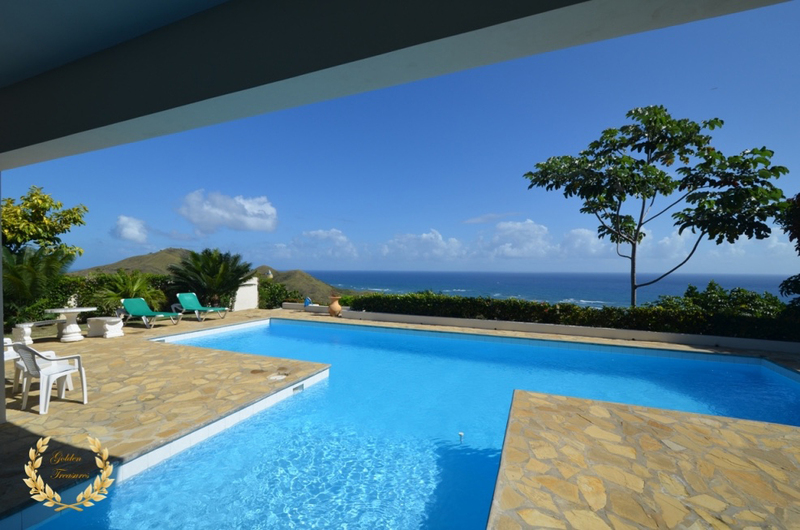 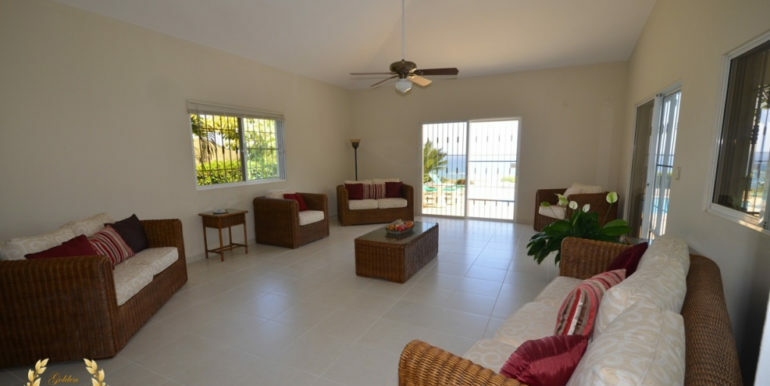 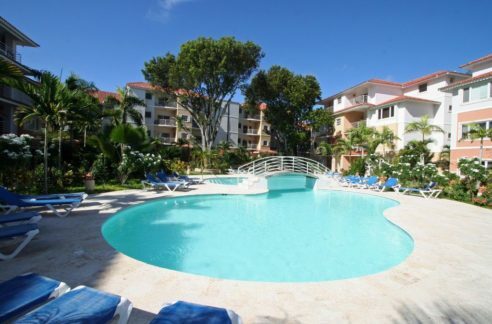 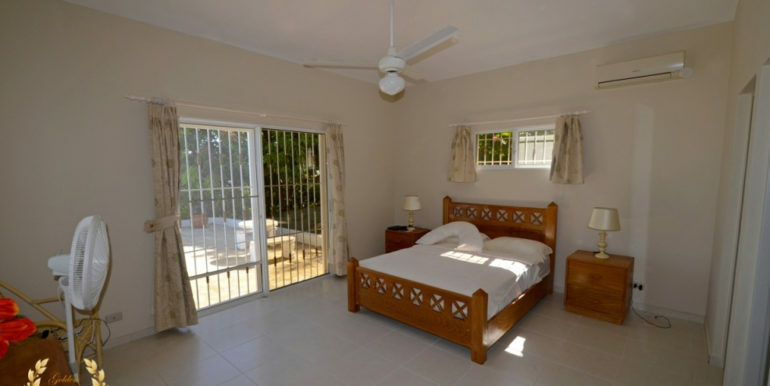 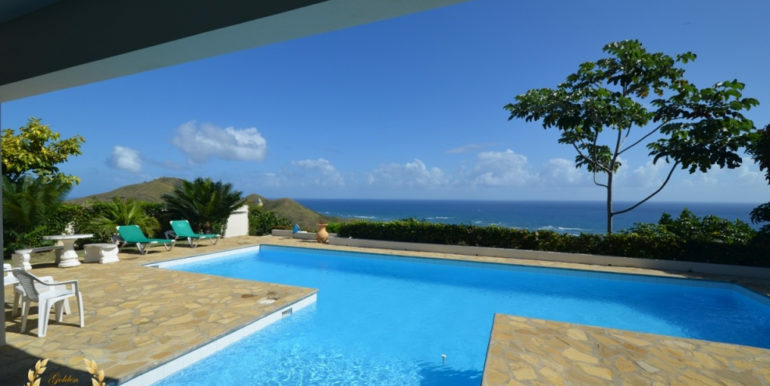 This is an ideal retreat investment for those seeking to enjoy the cool Caribbean breezes and take a swim in their private pool with amazing vistas. 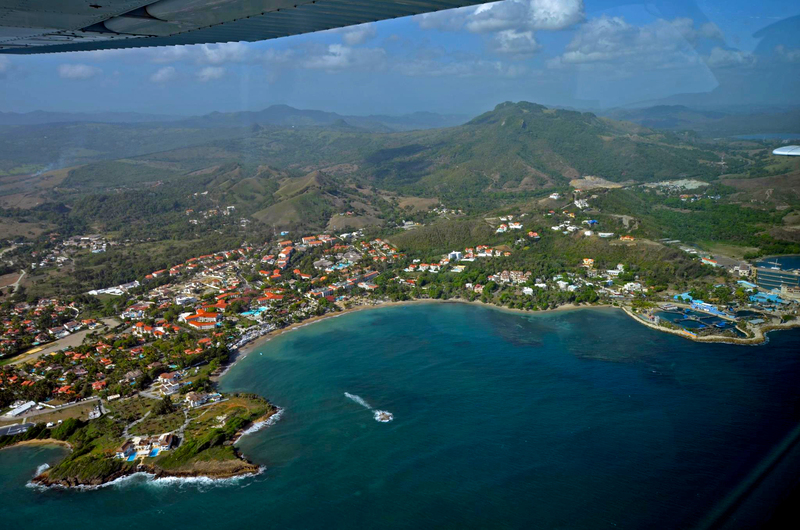 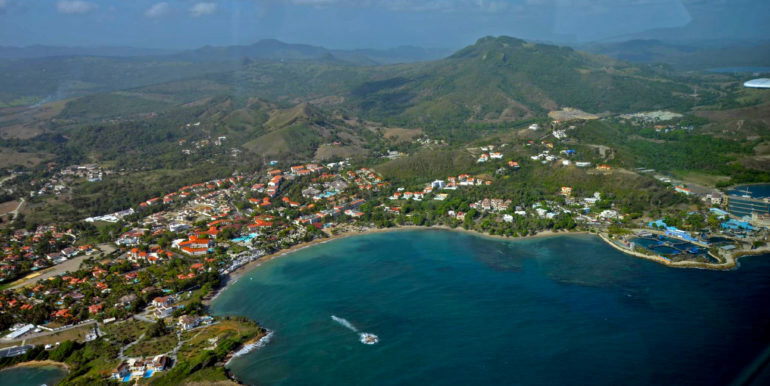 Cofresi beach is just a couple of minutes drive down the road. 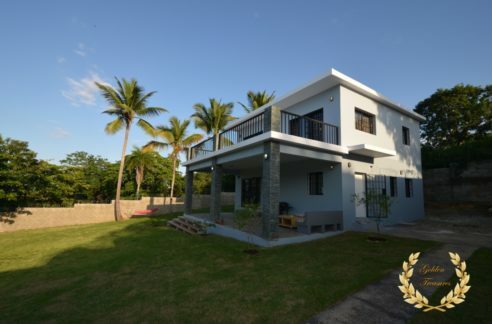 This villa includes back up power inverter, strong foundation construction and high quality finish. 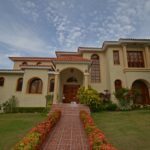 It has private security and maintenance staff. 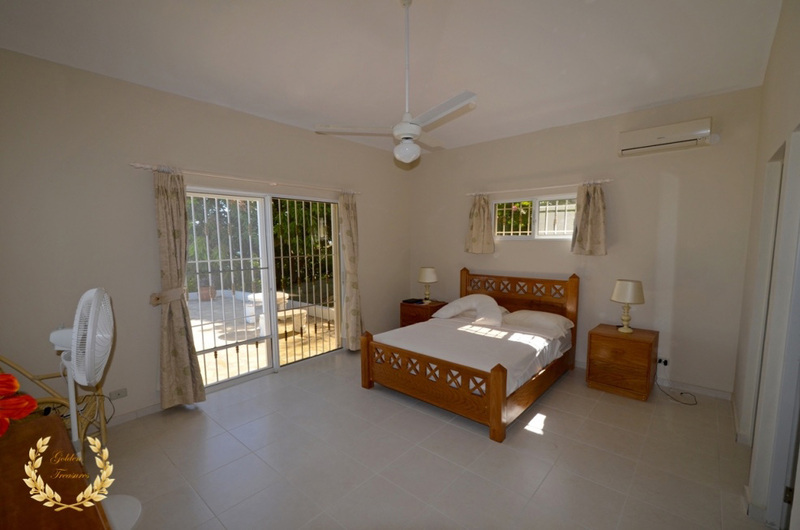 Definitely pet friendly, you can have more than one dog in the property.